Jyco Sealing Technologies promotes Benoit Singher to VP Engineering & Technology for operations globally, and Peter Yang to the position of Plant Manager for Jyco Asia’s manufacturing plant in Shanghai. Benoit Singher will manage Jyco’s growing product engineering and testing operations in Asia, Latin America and North America. Jyco Sealing Technologies, a world leader in thermoplastic sealing systems for automotive and industrial applications, has announced two high-level management promotions. Benoit Singher has been promoted to Vice President of Engineering and Technology. Mr. Singher will manage Jyco’s product engineering and testing in Asia, Latin America and North America. He will be based at Jyco’s headquarters in Ann Arbor, Michigan. 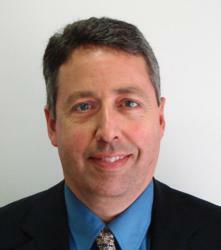 Mr. Singher joined Jyco in 2006 as Director of Product Engineering. Jyco also announced the promotion of Peter Yang to the position of Plant Manager for Jyco Asia, which has manufacturing operations in Shanghai. Mr. Yang, who joined the company in 2011 as Production Manager, will be responsible for production, quality, materials management, process engineering, facility management and plant operations. Prior to joining Jyco Asia, Mr. Yang was Manufacturing Manager for Manuli Hydraulics (Suzhou). Jyco Asia began operations in 2004, Jyco Latin America in 2006. Major expansions of both facilities were completed in 2011. At Jyco’s North American plant in Sherbrooke, Quebec, expansions of the engineering center and extruding capacity are currently underway. Since its founding in 2000, Jyco has become recognized as a world leader in the design, engineering and process technology for thermoplastic vulcanizate (TPV) weathersealing systems for automotive, heavy truck and RV OEMs, as well as for TPV parts in a wide range of consumer and industrial product applications. Jyco is the only automotive tier one supplier to have earned a Corporate TS/ISO/16949/9000 certification for Design, Testing, and Manufacturing of TPV seals.